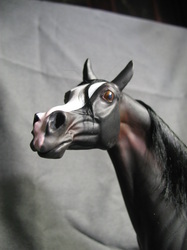 Alumnus bust by Sarah Hopper. 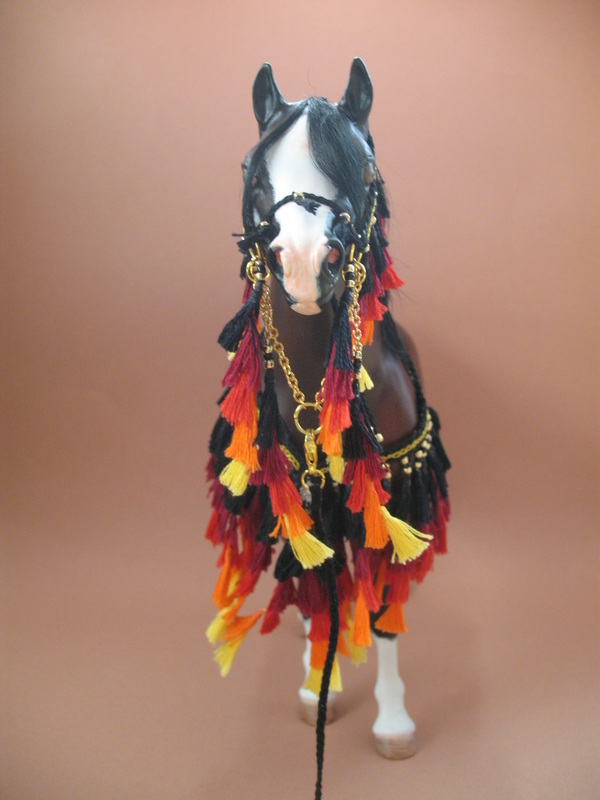 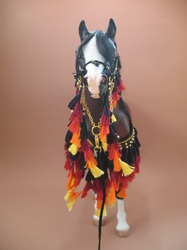 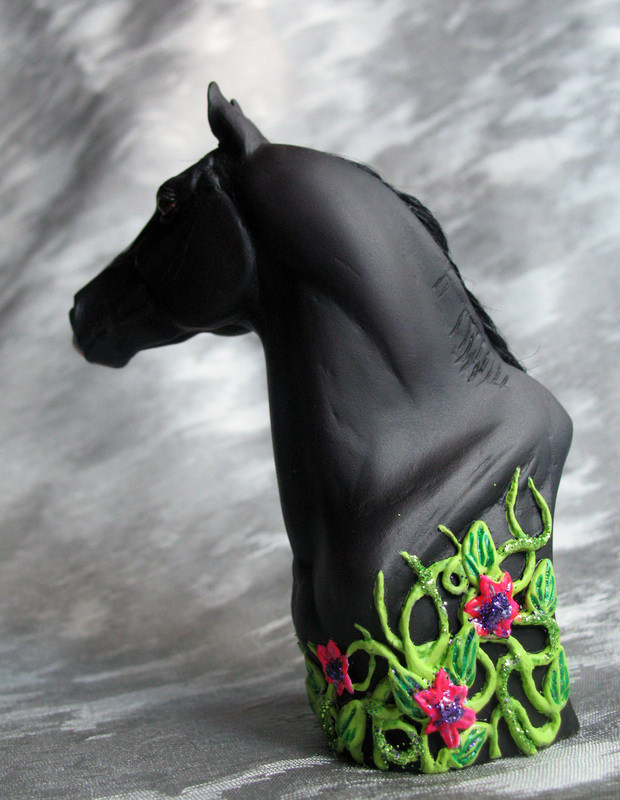 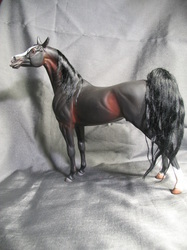 Original braided mane dremelled off and paited to black with blaze using by airbrush, pastels and handpainted acryls. Haired. 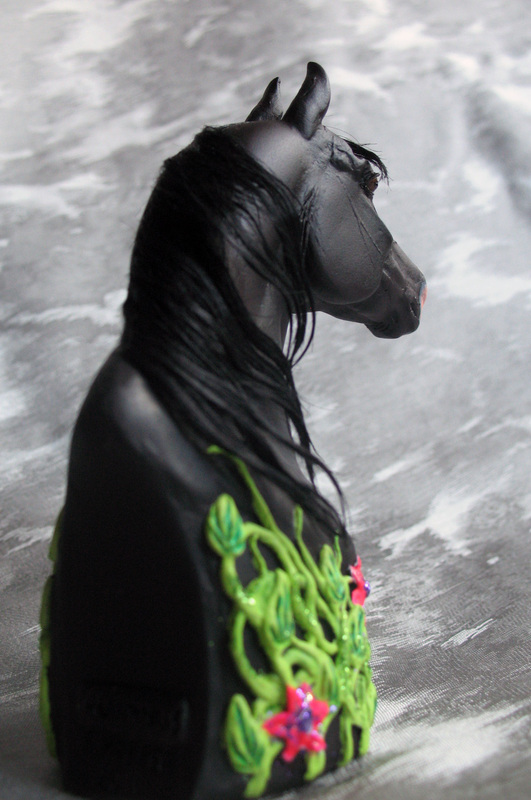 Plants glow in the dark and are little glittery. 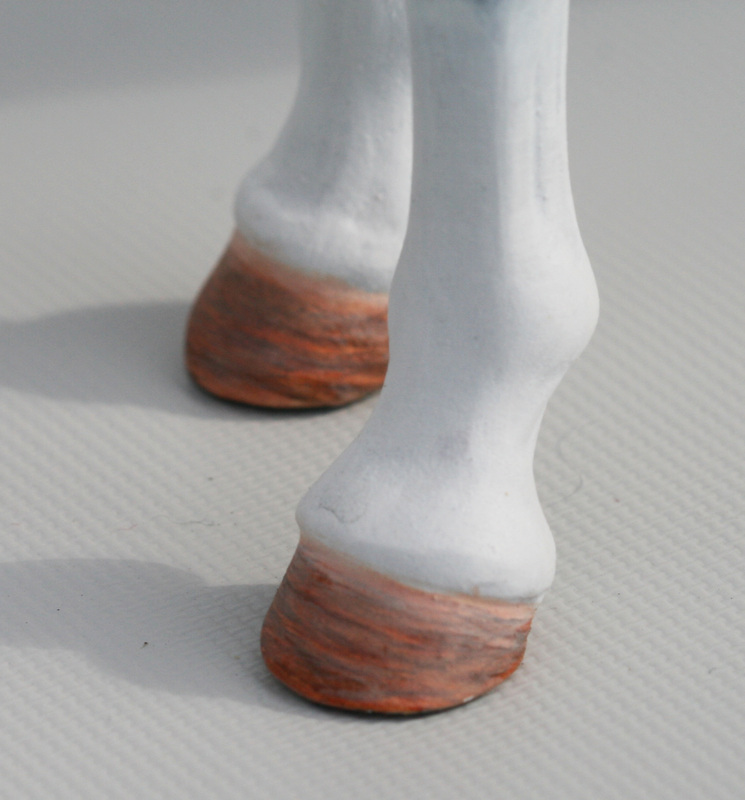 Airbrushed, pastelled and handpainted to coppery bay with four socks and blaze. 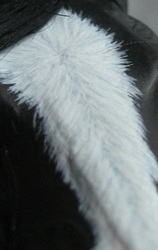 Mohair haired. 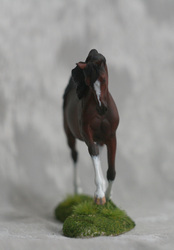 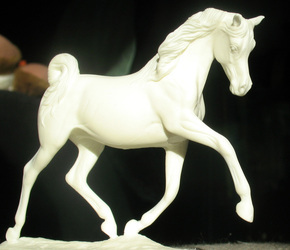 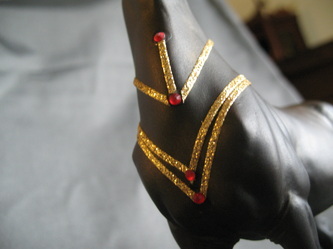 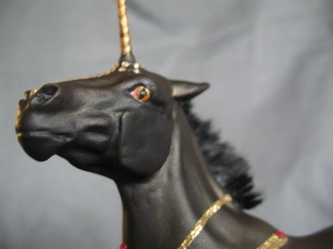 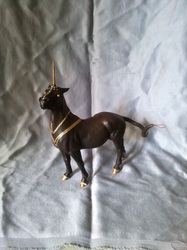 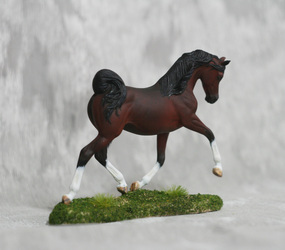 Deborah McDermott Mini Pearl 3" resin.Pigmented and handpainted to bay sabino egyptian arabian mare. 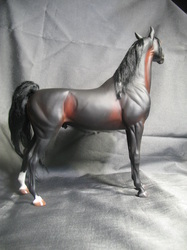 Dark bay with some chrome. 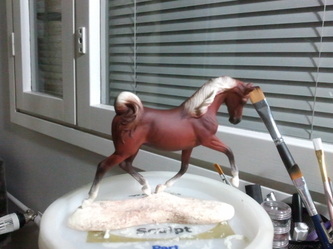 Airbrushed, pigmented and handpainted Peter Stone arabian cm. 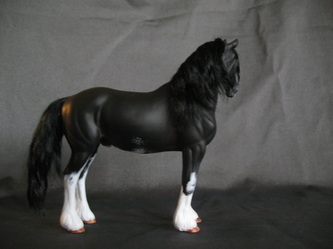 Black with sabino. 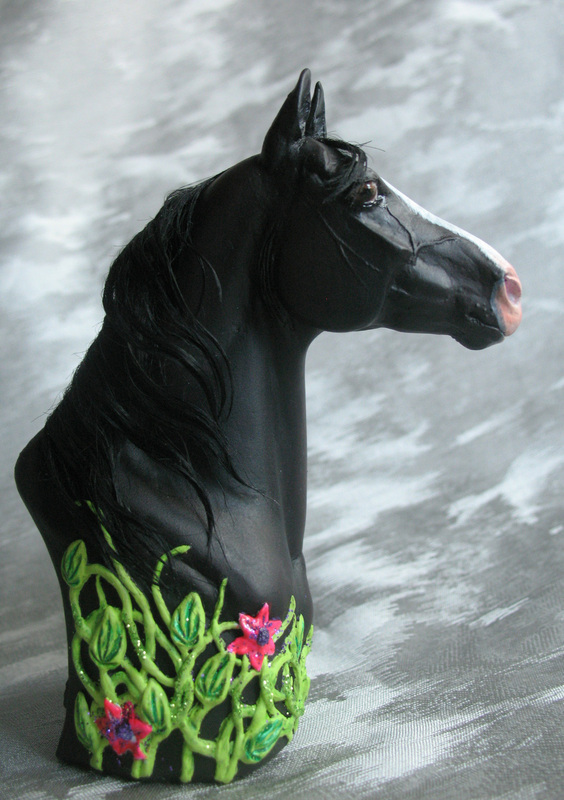 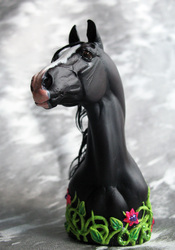 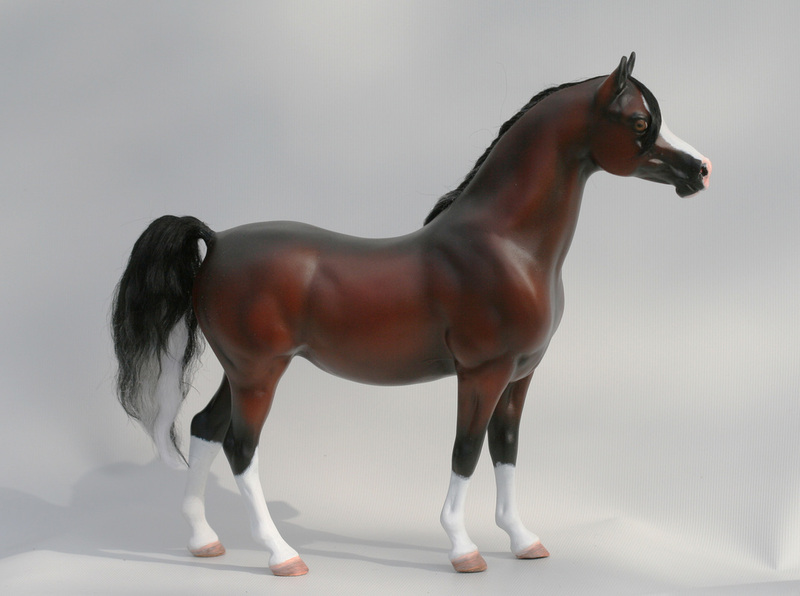 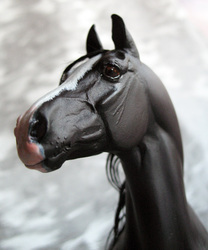 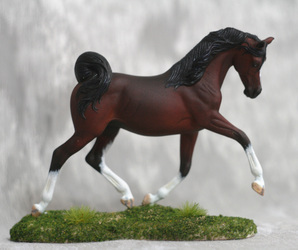 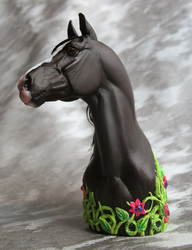 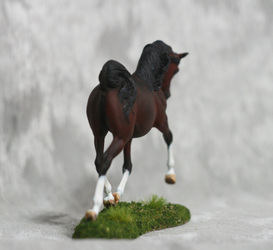 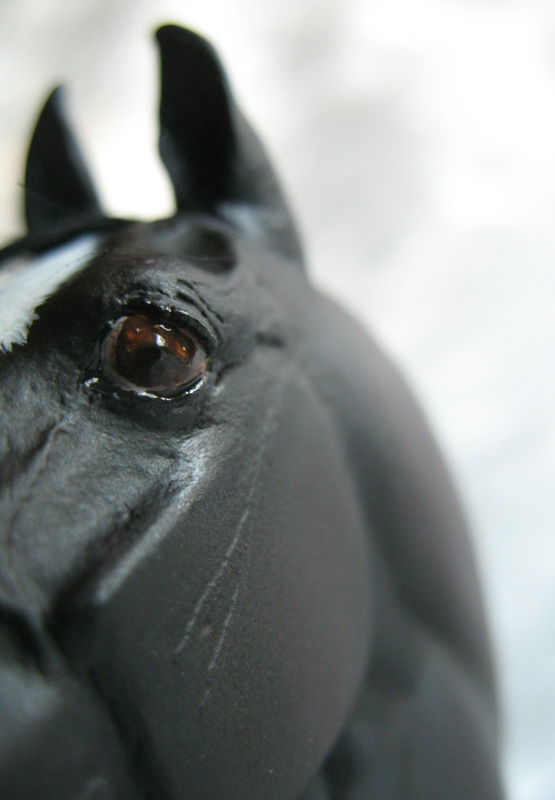 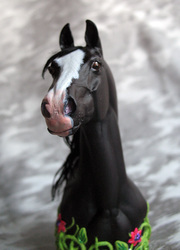 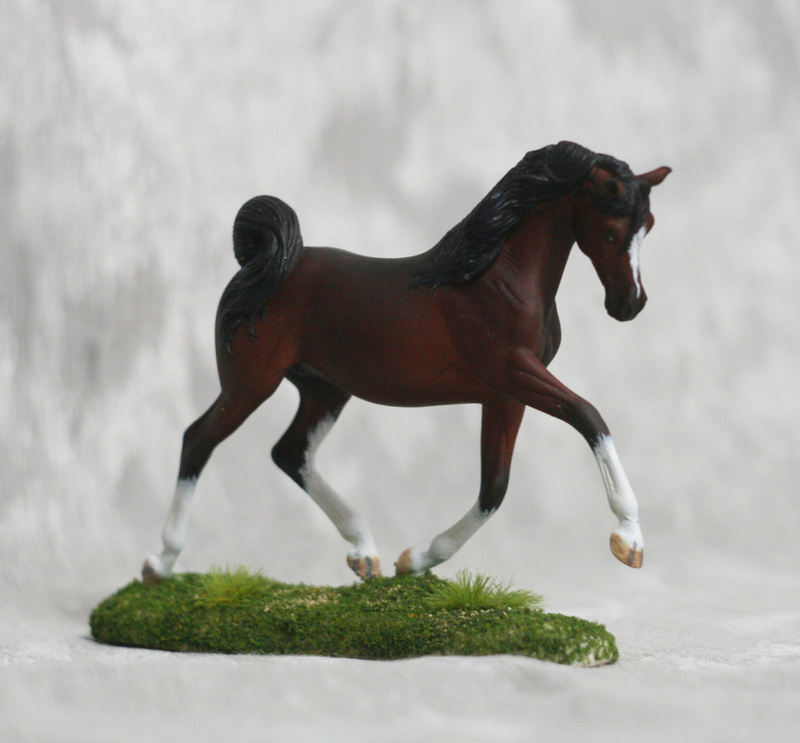 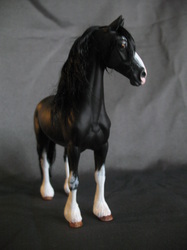 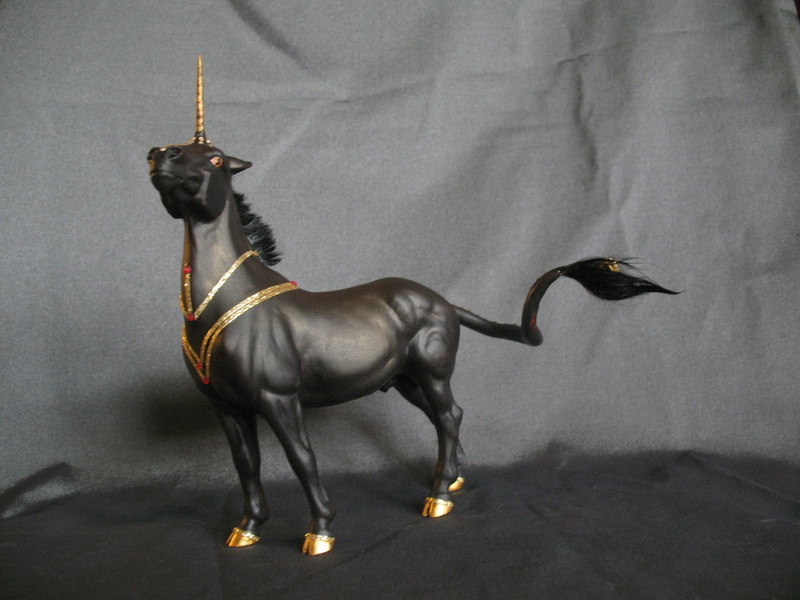 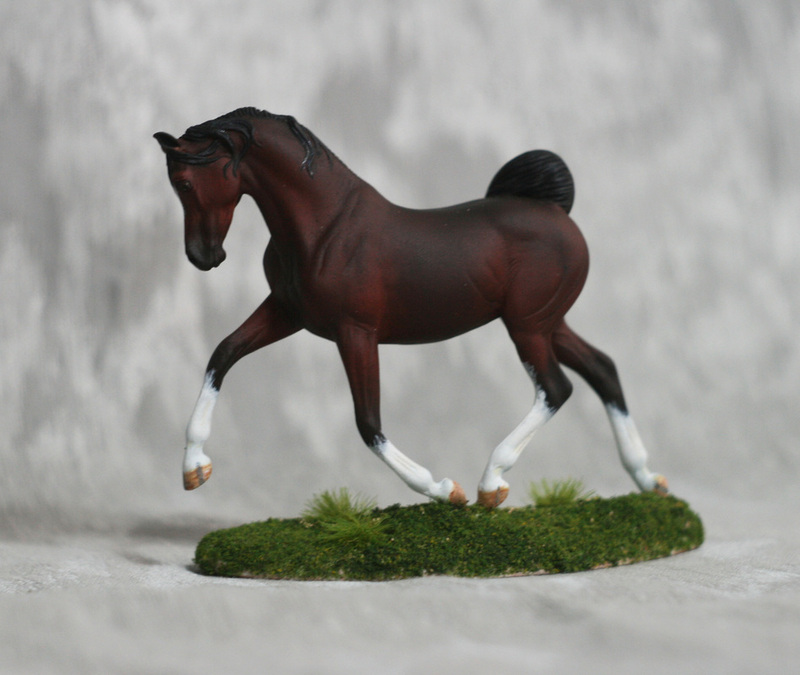 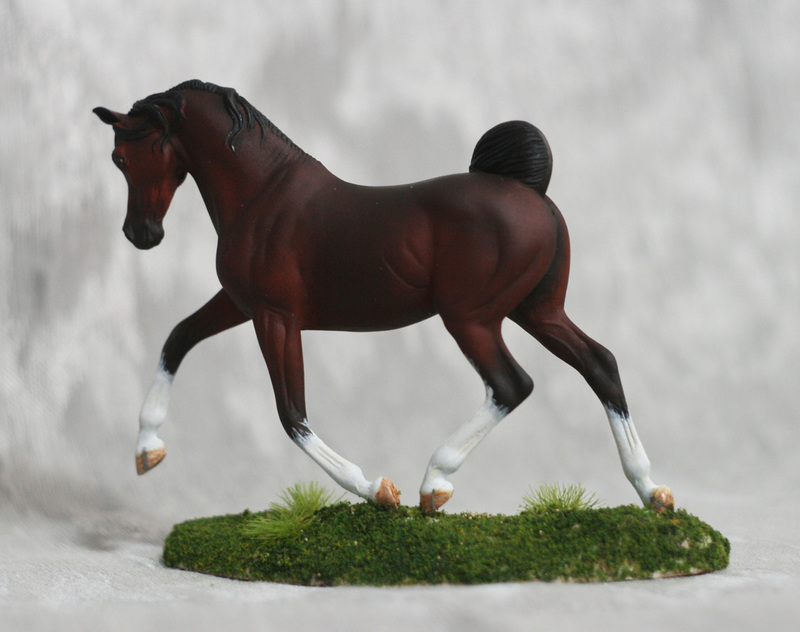 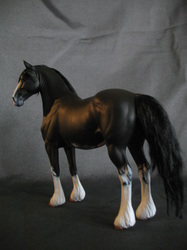 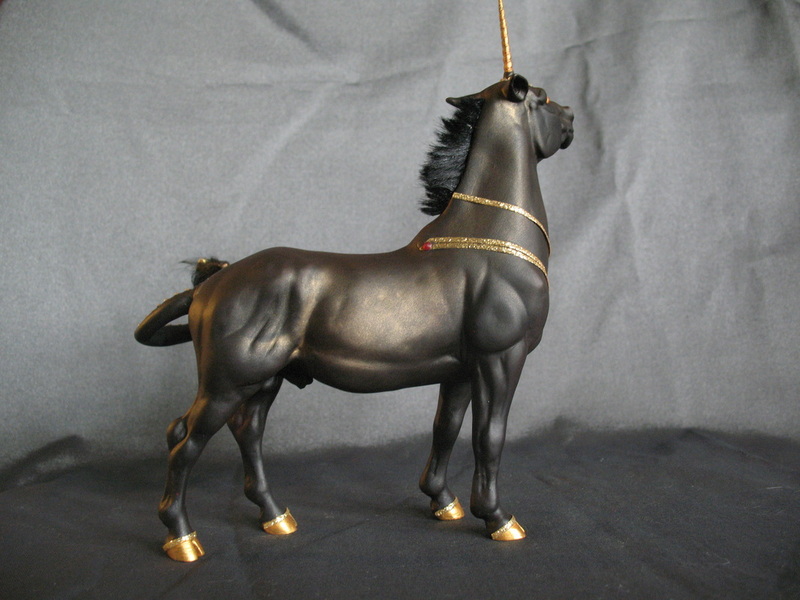 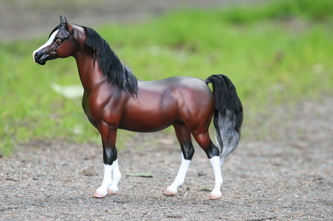 Haired, airbrushed and handpainted ColletA Friesian horsecm. Golden black with golden details. 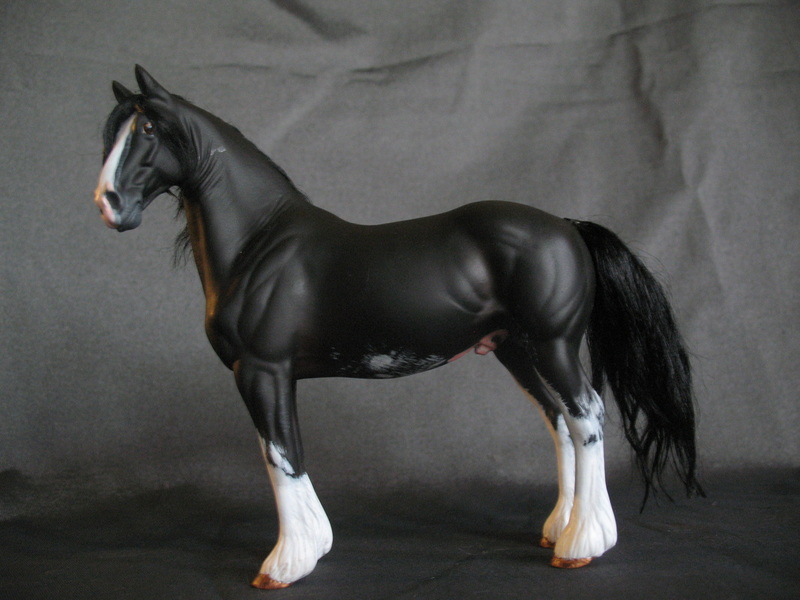 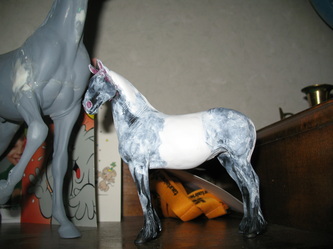 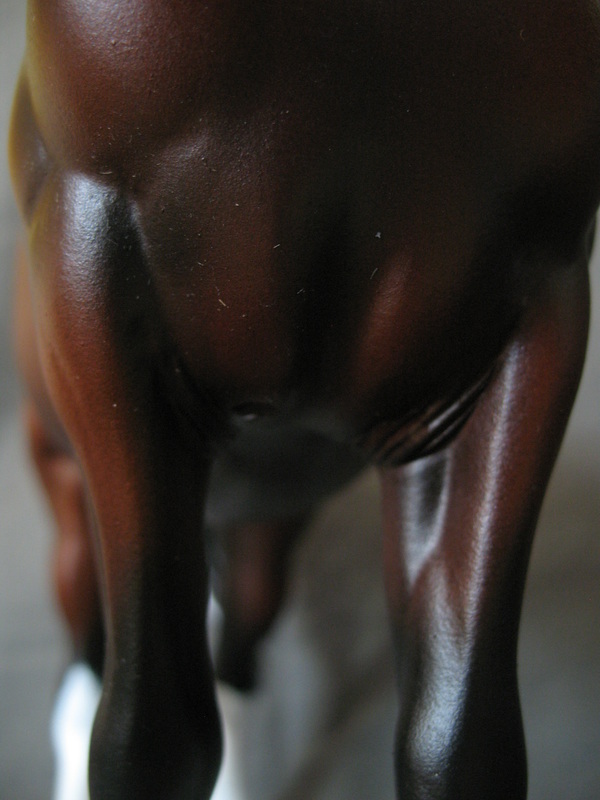 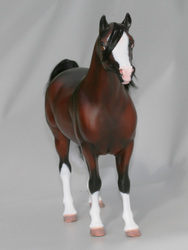 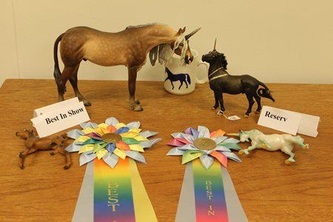 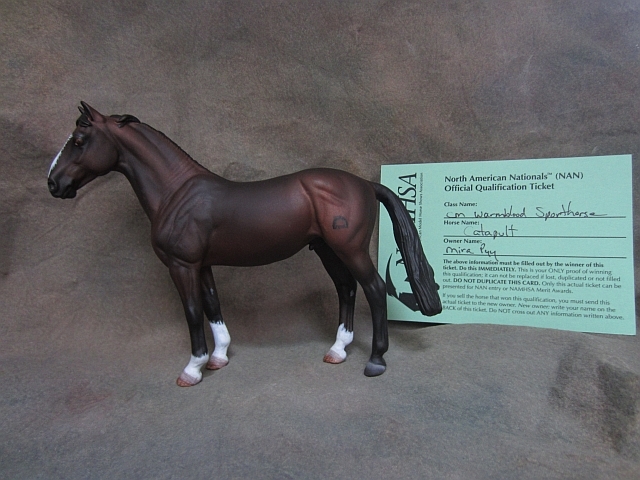 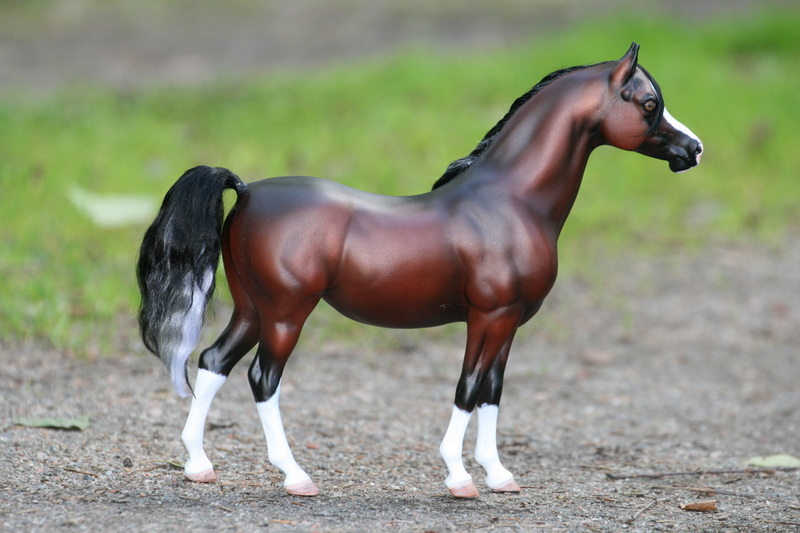 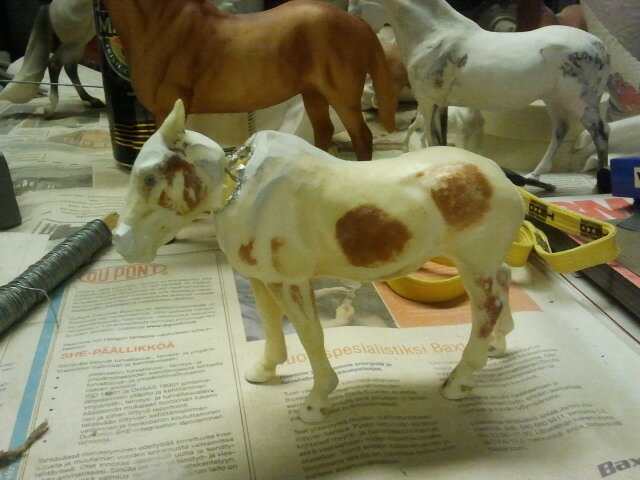 Irbrushed, pigmented and hanpainted Breyer cl mustang mare. Welsh pony sec C stallion. AR mini Fabrizio by Stacey Tumlinson cm by L.K. 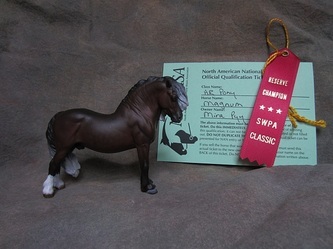 Magga and me.